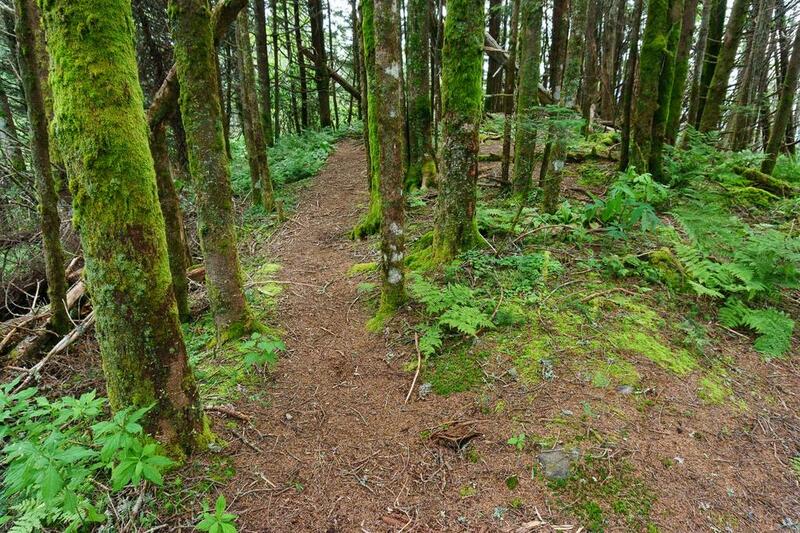 The unmarked summit of Blackstock Knob is covered in a stand of Fraser Fir and draped in moss. These are relatively old trees, and it probably won't be long before they are killed by Balsam Woolly Adelgid or knocked over by th wind, and this summit becomes open once again. This is a semi-natural cycle that is normal in these high elevation forests.